Fix up, look sharp! 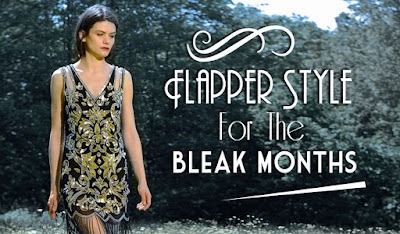 This pleated flapper will take you from day to night beautifully. Style with a chic leather jacket for a casual updated look or pop on some killer heels to rock the dance floor! Twist and shout in this beaded beauty, perfect for any special occasion or glam event. Tassels are taking over the catwalks and this golden glitzy number will really get heads turning. With a slick of red lipstick, your highest heels and a cute clutch your transformation to glamazon is complete! The Ultimate Deco Date Night Outfit!